1. Buy a gift card for groceries and turn around and hand it to woman in line behind me. 2. Walk up to a family eating lunch at a local restaurant, place a gift card on their table and walk out. 3. Drop off several hand written thank you notes and doughnuts to the police station. 5. 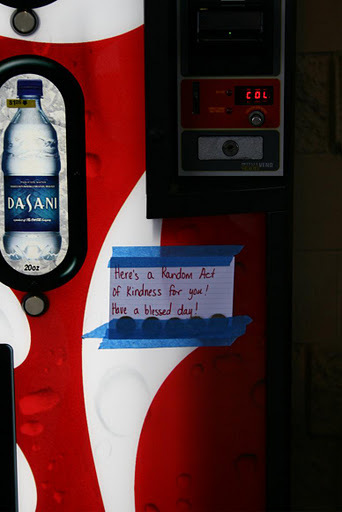 Tuck happy notes in car doors in parking lot wishing people a good day full of God’s blessings.